Belmont University is a student-centered Christian community providing an academically challenging education that empowers men and women of diverse backgrounds to engage and transform the world with disciplined intelligence, compassion, courage and faith.Fundamental to that vision are faculty who bring immeasurable life experience and knowledge to share with students on a historic campus that thrives in one of the most popular cities in the Southeast. A comprehensive university grounded in liberal arts, Belmont enrolls more than 8,000 students. It is the second largest private college or university in Tennessee and enjoys a reputation for academic excellence. In addition to undergraduate degrees in 90 major areas of study, the university offers master’s degrees in Accountancy, Business Administration, Education, English, Music, Nursing, Occupational Therapy, Sport Administration and Audio Technology; a Doctorate of Occupational Therapy, Doctorate of Physical Therapy, Doctorate in Pharmacy, Doctorate in Nursing Practice, and a Juris Doctor. The beautiful Nashville campus reflects a long, rich history that dates back to the 19th century, when the grounds were known as Adelicia Acklen’s Belle Monte estate. The antebellum mansion remains, with Victorian gardens, statuary and gazebos that serve as reminders of a treasured past. Modern university buildings erected a century later house state-of-the-art learning facilities where students prepare for challenges of the 21st century. Women’s schools preceding the current comprehensive institution of higher learning include the original Belmont College (1890-1913) and Ward-Belmont (1913-1951). In 1951, the Tennessee Baptist Convention founded the second Belmont College (1951-1991) with an initial coeducational enrollment of 136 students. Soon after celebrating 100 years of education on the same campus, the institution became a university in 1991, culminating a decade of dramatic growth and progress. Belmont University is committed to continuous improvement, assuring students of the best educational experience possible. The institution encourages listening and learning from everyone. Thus, the educational process is ongoing for faculty and staff as well as for students. The success of Belmont is grounded in its tradition of fostering lifelong learning. As a school founded on Christian principles, Belmont University believes in the potential of every individual to make a positive, meaningful difference in this world. Therefore, the educational focus is not just concerned with the mastery of conventional academics but also with the developmental process for the whole person. The ideal Belmont community member is one who puts knowledge into action for the betterment of others. Belmont University is a student-centered Christian community providing an academically challenging education that enables men and women of diverse backgrounds to engage and transform the world with disciplined intelligence, compassion, courage and faith. Belmont University is student-centered . The university provides opportunities for the student to develop intellectually, spiritually, socially, and physically through experiences of leadership and collaboration, of success and failure and of choice. Faculty, administration, and staff commit themselves to guide and to challenge students to develop their full potential in order to lead lives of meaning and purpose. Belmont University is a Christian community that presents Jesus as the Christ and as the model for personal behavior. Students are encouraged to commit themselves to high moral standards and to discover Christian values basic to wholesome personal growth and spiritual fulfillment. 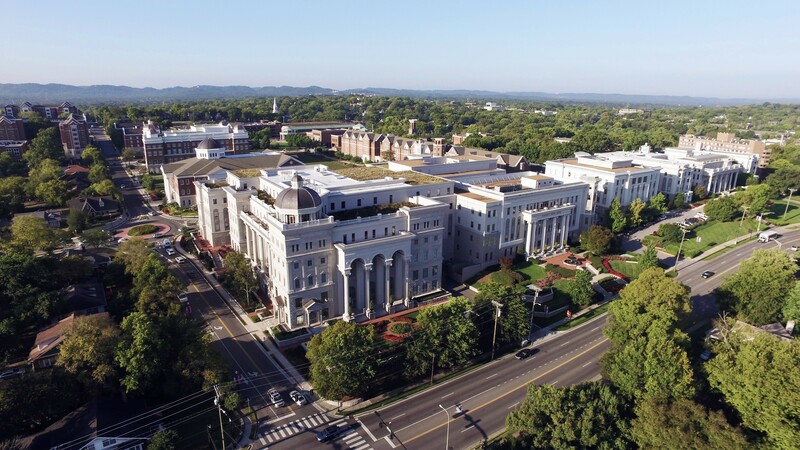 Belmont University offers academically challenging undergraduate and graduate programs emphasizing knowledge, fundamental intellectual skills, cultural perspectives, conceptual frameworks, and habits of ethical reflection and action in an interdependent world. All learning contexts stress the skills and dispositions necessary for lifelong learning that sustains the value of higher education in each person’s professional and personal life. Belmont University welcomes students from diverse backgrounds and upholds the dignity of all. The university fosters an atmosphere of respect for the civil expression of divergent perspectives that enables students to learn, to live, to work, and to play together. Belmont University students are challenged to engage and transform the world locally and globally. Viewing higher education as a transformative experience, Belmont prepares its graduates to take civic responsibilities seriously, to consider innovative solutions to problems, and to bring the best of themselves, their creativity, their intellectual skills, and their faith to meet the challenges and opportunities that face the human community.